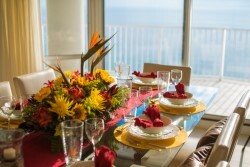 Establishment and Maintenance of Seasonal Rental Rates. Web Optimization with a Personalized Property Page for Your Property. Promotion of Your Property through Multiple Marketing and Advertising Outlets. Individualized Property Assessments and Unit Inspections. Detailed Owner Statements and Recordkeeping, with Access to Property Reservations and Maintenance Detail. Well-Trained Housekeeping Staff, Housekeeping Inspectors and Maintenance Staff. 24/7 Follow-Up on all Inquires and Potential Leads. Collection of all Rents, Fees and Taxes, with Timely Remittance of all to Owners and Taxing Authorities. Maintenance Services provided at Management's Cost. Donna Sessoms, Managing Member, has extensive business experience with 10 years specifically devoted to vacation rental management. After receiving her B.A. in Accounting from Mississippi State University and her CPA certificate, Donna worked in public accounting and private industry. She was CFO of a publicly traded stock exchange company before starting in the vacation rental management industry. 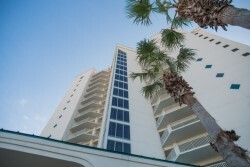 Donna is a full-time Florida resident living at the Princess in Panama City Beach. You may email Donna at [email protected]. 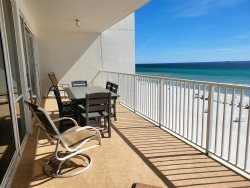 Jennifer Highfield, Rental Manager, has over 12 years experience in vacation rental management here on the "World's Most Beautiful Beaches," both in Panama City Beach and South Walton Beaches. Before that, Jennifer worked in retail management and personnel services. Customer service has always been a priority with her. And it shows. You can email Jennifer at [email protected].